TUNIS, Tunisia, April 5, 2018 /PRNewswire/ -- Devery.io, a blockchain based startup focused on supply chain tracking, signed with the Tunisian Ministry of Education to implement a blockchain-based tracking system for its school meals programme. The Tunisian government operates a school meal programme designed to offer one fresh meal a day to underprivileged students in its primary and secondary educational system. In seeking to improve the system and to track the quality of the meals provided, the Ministry of Education is now exploring the utilisation of blockchain-based tracking. 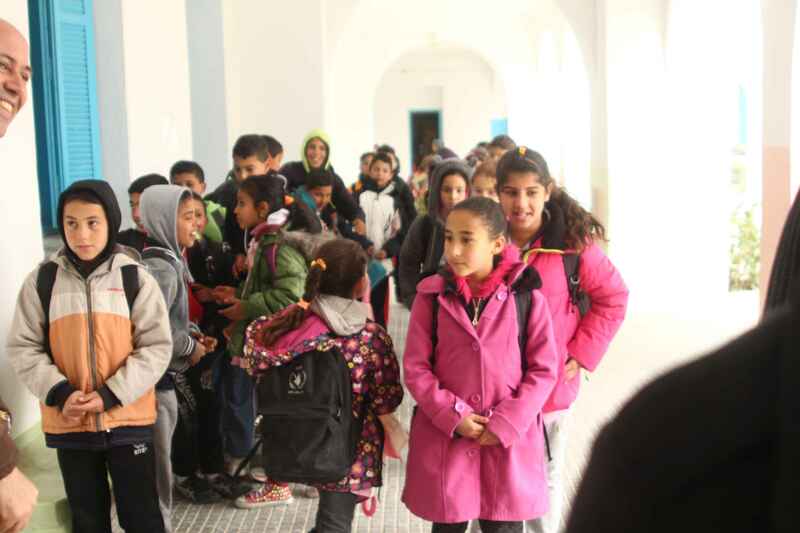 The implementation will involve an initial roll out to a scheme to feed 1500 primary school kids, with the goal of ultimately rolling out to the scheme to all 400,000 Tunisian school children currently receiving food assistance once successfully trialed. The meal programme currently serves approximately 6000 schools. In recognising the importance of nutrition as part of a broader goal to ensure and improve educational achievements, the Ministry of Education's programme is aimed to ensure that children from underprivileged backgrounds meet their nutritional requirements. The programme is currently managed by the United Nation's World Food Programme to ensure that the programme is implemented appropriately and the schools have an adequate supply of meals for the students that require them. In achieving these goals, the ability to track the delivery of the meals as well as possible aspects on the best utilisation of funds are key measures of success for the programme. "This project is allowing us to explore how supporting innovation, through the introduction of solutions based on blockchain technology, can contribute to strengthening the effectiveness and efficiency of the Tunisian national school meals programme," said Maria Lukyanova, the United Nations World Food Programme Representative and Head of Country Office for the Republic of Tunisia. Devery.io will provide the technical advisory and development capability to build, train and utilise a transparent and more accountable system of tracking the meal deliveries as well as reporting issues directly to the Ministry in real time. Further, Devery will train personnel on the ground to utilise and maintain the technology for the foreseeable future. "Blockchain technology has the potential to impact billions of people through bridging the gap between the physical and digital world. Ensuring the safe delivery of the food to children via blockchain technology is a cause we truly believe will impact the lives of many to come" - Andrew Rasheed, founder and CEO of Devery.io. The World Food Programme expects to use the technology developed for this programme to assist with the delivery of food in other missions around the world. Devery is a leading global blockchain start-up that provides comprehensive product verification services. The company provides software that abstracts the difficulties of blockchain development by providing easy-to-use tools and applications to clients. 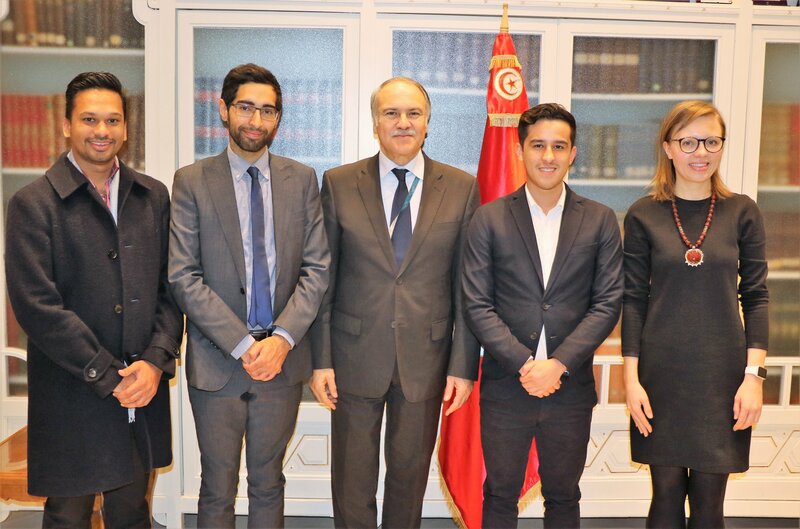 Devery Team meeting with the Tunisian Minister of Education, Hatem Ben Salem and Maria Lukyanova (UN World Food Programme). 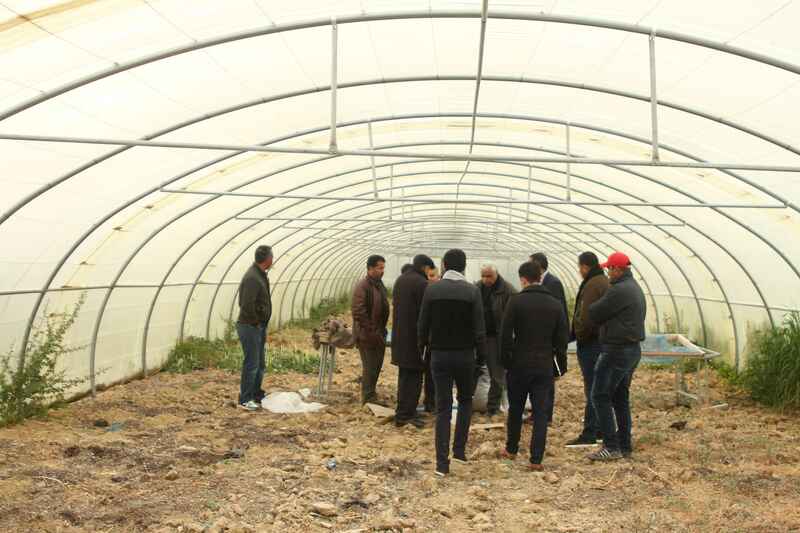 UN World Food Programme in-construction greenhouse.